Hip strengthening prior to functional exercises reduces pain sooner than quadriceps strengthening in females with patellofemoral pain syndrome: a randomized clinical trial. Dolak KL, Silkman C, Medina McKeon J, Hosey RG, Lattermann C, Uhl TL. J Orthop Sports Phys Ther. 2011 Aug;41(8):560-70. Epub 2011 Jun 7. The Effects of Isolated Hip Abductor and External Rotator Muscle Strengthening on Pain, Health Status, and Hip Strength in Females With Patellofemoral Pain. While several articles have reported associations between hip strength/kinematics and knee pain, including studies that suggest hip strengthening may improve knee pain (see Related Posts below), few have been randomized controlled trials assessing the benefits of isolated hip strengthening on patellofemoral pain. Recently, two randomized controlled trials assessing hip strengthening among females with patellofemoral pain have been published in JOSPT. Khayambashi et al performed a randomized controlled trial to assess the effectiveness of isolated hip abductor and external rotation strengthening among 28 females with bilateral patellofemoral pain. Participants were placed in an alternating order into one of two groups; isolated hip strengthening (n = 14) or no exercises (n = 14; placebo treatment = daily omega-3 and calcium supplements for 8 weeks). The isolated hip strengthening group performed standing hip abduction and seated hip external rotation with elastic tubing resistance (progressed in 2 week intervals for 8 weeks). In contrast to this, Dolak et al conducted a comparative effectiveness study to evaluate the effects of hip strengthening to quadriceps strengthening prior to introducing weight-bearing (functional) exercises to the rehabilitation program. Female participants with patellofemoral pain were randomized to either 4 weeks of hip strengthening (13 finished the study) or 4 weeks of quadriceps strengthening (13 finished the study; full rehabilitation protocol is available online). After the initial four weeks, both groups performed functional exercises for 4 weeks. Khayambashi et al found that isolated hip strengthening for 8 weeks led to improved self-reported knee pain, health status (via a knee-specific questionnaire about symptoms and function), and hip strength, while the placebo control group showed no improvement (the strength assessor was not blinded to group assignment). Dolak et al had similar findings suggesting the hip strengthening group had significantly less self-reported pain after the first 4 weeks of rehabilitation, compared to their pain before treatment and to the quadriceps strengthening group at 4 weeks. In contrast, the quadriceps group did not have a significant improvement in pain after the first 4 weeks but showed significant improvement in pain after 8 weeks of rehabilitation, which included 4 weeks of functional exercises. Both groups had similar improvements in self-reported pain at 8 weeks, as well as, improvements in lower extremity function over time. Both studies support the implementation of hip strengthening into rehabilitation programs for females with patellofemoral pain. Khayambashi et al demonstrated the benefit of two strengthening exercises relative to no exercises. These exercises could be easily implemented into a rehabilitation program but it is unclear if adding these 2 exercises to a standard regimen improves symptoms more than the standard program. Meanwhile, Dolak et al showed the early implementation of hip strengthening leads to quicker pain relief compared to early use of quadriceps strengthening. It will be interesting to see similar studies performed with male patients, as well as, a larger population. This may be particularly relevant if Dierks et al (link to SMR post) are correct, and different patient subgroups with patellofemoral pain (i.e., weak hip abductor group, weak hip and trunk group, weak hip internal rotator group) exist. Are you already implementing hip strengthening into your patellofemoral rehabilitation? If not, do these articles provide sufficient evidence to implement them among some patients? Implementing hip strengthening into a rehabilitation for PFPS was explained early to me as a student.Based off of the kinetic chain and not just thinking locally, but identifying issue proximally and distally play a big roll in creating a personalized rehab plan. I think hip strengthening exercises need to be a big part of a rehab regiment for this issue. Upon evaluation you should be able to notice these deficits that contribute to PFPS. Some deficits may be more subtle then others,but being able to determine valgus stressors early may help reduce pain sooner rather then later through these exercise. Jenna: Thanks for the great comment. I agree. I think we need to remember to address the deficits we observe on evaluation. We need to identify whether the patient has weak hip abductors, weak core, etc. I think the nice thing with the Dolak article is that they progressed from less functional but more targeted strengthening to more functional exercises. I recently hear people discussing that open chain exercises were not effective exercises for knee pain and that we should be focusing on closed chain/neuromuscular training exercises but that seems to be a bit of a simplistic approach. Dolak et al had a good idea targeting deficits in isolation and progressing to functional tasks. The next step is identifying the optimal patients for their hip strengthening program versus patients that may need other isolated training first (e.g., quadriceps or lumbopelvic). This is an excellent site for anyone interested in sports medicine. Keep up the great work! I will direct our readers your way. I think we are reading more and more about the importance of hip strength with patellofemoral pain especially with females. I agree that a comprehensive exam looking at strength/flexibility deficits and functional assessment of the LE (step downs/drop jumps) is vital. But more and more I am finding with my female patient population with anterior knee pain/patellofemoral pain, the hip strengthening exercises are a great start point. Not only are we finding research to support this topic, but the patient starts to realize the importance of knee position over foot during the exercise instruction, which helps with progressing to weight bearing and more functional rehab exercises. Thanks Tom! I think you made a great point about the benefit of achieving some basic neuromuscular control (via an appreciation for knee position) before getting to far along. Have you been incorporating core strengthening early on with your hip strengthening (e.g., transverse abdominis or other trunk activities) with your patients with anterior knee pain? Have you seen the need for it among your patients? My main experience with PFPS rehabilitation was with a male cross country runner. I addressed a combination of quad, hip, and ab/back weaknesses during his rehab program. He improved enough to return to running but complained a lot about having to do the hip/ab exercises. Evidence like this will be helpful in educating athletes with PFPS and their coaches about the different contributing factors that need addressed. Abby: Glad to hear that you'll be able to use these studies to explain to your patients and coaches why it is important to do hip and ab exercises for knee pain. Good luck! I don’t think you will find many people who disagree with this method of rehabilitating patients with PFPS. It is commonly accepted that hip strengthening should be one of the main aspects of the rehabilitation protocol for the simple fact that many individuals with PFPS lack sufficient femoral abductors and/or external rotators. In addition, all treatment programs should emphasize strengthening proximal and distal to the site of injury. Having said this, I do think it is too common to assume treating hip weakness will correct the problem and decrease pain and inflammation entirely. I think many clinicians also forget that PFPS is a recurrent issue and most individuals will have a return of symptoms within a matter of months. Furthermore, in regard to looking both distal and proximal to the knee, the true problem may not be due to hip weakness at all. The area of concern might in fact be at the site of pain. For example, the patient may have a weak VMO compared to the Vastus Lateralis causing lateral tracking of the patella. I guess the point that I am trying to get across is that YES hip strengthening should most likely always be incorporated into rehabilitating PFPS; however, it might not be the aspect that needs to be stressed over other therapeutic exercises. Ian, great points. 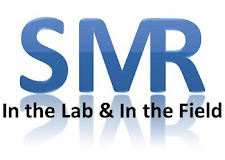 As we've seen over the past year in several SMR posts: there seems to be the possibility of phenotypes that will have certain deficiencies that contribute to their pain (http://sportsmedresearch.blogspot.com/2011/04/could-different-mechanisms-be-related.html). It's interesting that hip strength tends to help the group average improve but that still means that some people might not be responding. That might be related to the person having sufficient hip strength but deficiencies elsewhere. Hopefully, these studies while raising awareness of the role of the hip in PFPS also raise awareness that we need to assess the entire kinetic chain and select the optimal program for each patient.